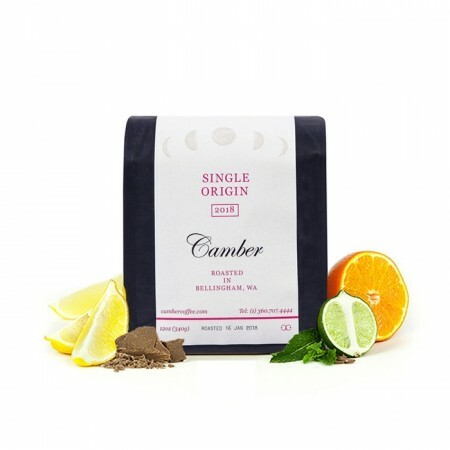 This is the Guatemala Hunapu brought to you by Camber Coffee. Grown by the small holder producers in the Antigua region between 1,500 - 1,800 meters, this fully washed coffee is a perfect example of why we love coffees from Guatemala. This coffee has an excellent maple syrup sweetness balanced with structured citrus acidity that reminds us of navel orange. Guatemalan coffee is usually my favorite but this one lacked the flavor I am used to. Was kind of boring. I like it. I notice a difference between brewing in french press and aeropress, likely my own inconsistency in amount/brew time. The maple comes through, I was thinking it was carmel and a bit of the orange. I'm also brewing a Kenyan coffee that is chocolaty and fruity, it has been interesting to contrast the two. This is definitely more balanced overall. I like the distinct and rich flavor profiles while not being overly acidic. Look forward to whatever might come my way next! Was ok. very fresh. a little too earthy tasting for me. Looking forward to trying another coffee selection.